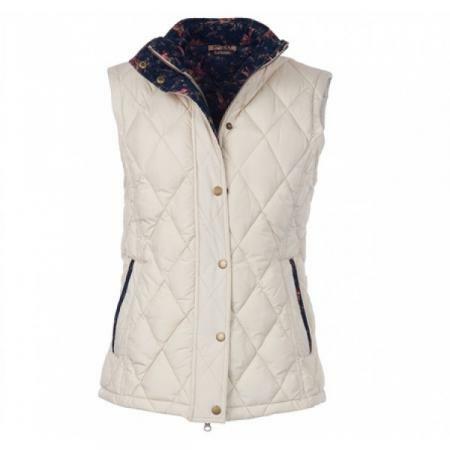 Ideal for throwing over shirts and jumpers, the Tors Gilet for ladies, is a stylish layering piece featuring a charming printed lining. It’s crafted in a large-scale version of Barbour’s signature diamond-quilted outer, with a cosy funnel collar and a zip- and snap-close front. The inner collar and angled side pockets are trimmed with printed cord piping, and the 100% cotton lining carries a vintage bird print that’s exclusive to Barbour. Available in Pearl sizes 12 & 16 only.SALE!